New studies show 1 in 133 Americans have a gluten sensitivity that may be profoundly detrimental to overall health (i). As the study of gluten and health continues, an ever-growing body of research suggests there is much to gain from adhering to a gluten-free diet. 1. Wheat (gluten) allergy is among the top 8 food allergies in the U.S. (ii). Gluten sensitivity ranks among the 8 most common allergies in America. It is important to understand that a gluten allergy may manifest itself as Celiac Disease or simply gluten sensitivity. It is important to learn more about both Celiac Disease and gluten sensitivity because each condition may cause serious health issues (many of which are on this list). 2. Humans are unable to fully digest wheat. This is the biggest reason why individuals with Celiac Disease take up a gluten free diet. Celiac Disease causes an allergic reaction when the gluten in wheat is digested, and the body’s own immune system is tricked into attacking itself. Research shows that a similar gluten allergy may also affect individuals who do not have Celiac Disease. For those individuals, gluten causes an inflammation that inhibits the healthy absorption of important vitamins, minerals, and other nutrients. 3. Gluten allergy may cause nutritional deficiency and cavities. Our Blog first introduced readers to gluten’s affect on oral health in an article titled Gluten Sensitivity and Your Oral Health. In the article, it is explained how the digestion of gluten may agitate the small intestine and prevent healthy nutrient absorption. This may cause malnutrition that ultimately leads to tooth enamel degradation, whereby the teeth become thinner, weaker, and more easily destroyed by tooth decay. 4. Gluten allergy may cause leaky gut syndrome. Whether triggered by Celiac Disease or a general allergy, the digestion of carbohydrates that contain gluten agitates the small intestine. Studies show that this agitation impairs the normal and healthy digestion of important nutrients (see #2 above), and it may also cause damage over time. A damaged small intestine may leak toxins, microbes, undigested food, and other waste into the abdominal cavity, resulting in a number of different serious health issues. 5. Gluten decreases your ability to focus. Going “Gluten Free” is becoming a popular option for individuals who desire a natural way to improve mental focus. This made news headlines in 2011 when researchers assessed the impact of a gluten free diet on individuals with attention deficit hyperactivity disorder (ADHD). After eliminating gluten from participants’ diets, researchers noted that the “patients and parents reported a significant improvement in behavior and [cognitive] functioning,” (iii). The results of this study have since resulted in the addition of Celiac Disease to the ADHD symptoms checklist. 6. Finding gluten-free foods is getting easier. Gone are the days of unsuccessful and frustrating hunts for gluten-free pastas, cookies, and bread. There were 1,182 new gluten-free products released in 2008, and that number has enjoyed annual growth of 33% since 2004 (iv). It is reasonable to presume that access to gluten-free foods will continue to grow over the years, making it easier for consumers to maintain a gluten free diet without sacrificing the foods they love. Assure a Smile takes a holistic approach to dentistry, and we believe that your teeth will enjoy a much healthier lifestyle through proper nutrition, diet, and care. We invite South Florida residents to schedule an appointment online to experience holistic dentistry firsthand. Readers are also invited to speak with a friendly member of our front desk by calling 305-274-0047. (i) “Clues to Gluten Sensitivity.” The Wall Street Journal. March 15th, 2011. (ii) “Common Food Allergies.” URL: http://www.eatingwithfoodallergies.com/co mmonfoodallergies.html. Accessed June 19th, 2012. (iii) “Association of Attention-Deficit/Hyperactivity and Celiac Disease.” URL: http://www.ncbi.nlm.nih.gov/pubmed/21977364. Accessed June 19th, 2012. 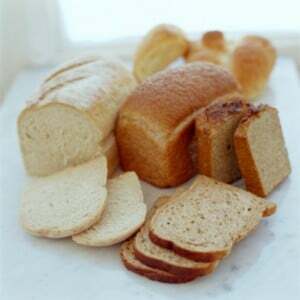 (iv) “Should You Go Gluten Free?” URL: http://www.eatingwell.com/nutrition_health/gluten_free_diet/should_you_go_gluten_free. Accessed June 19th, 2012.